I still can’t believe I’m married and have been for almost two weeks. but it hasn’t quite entirely sunk in that he and I get to spend eternity together now. so I’m keeping it alive today and sharing the little details from our teeny wedding! we knew we didn’t want anything huge and pretentious. 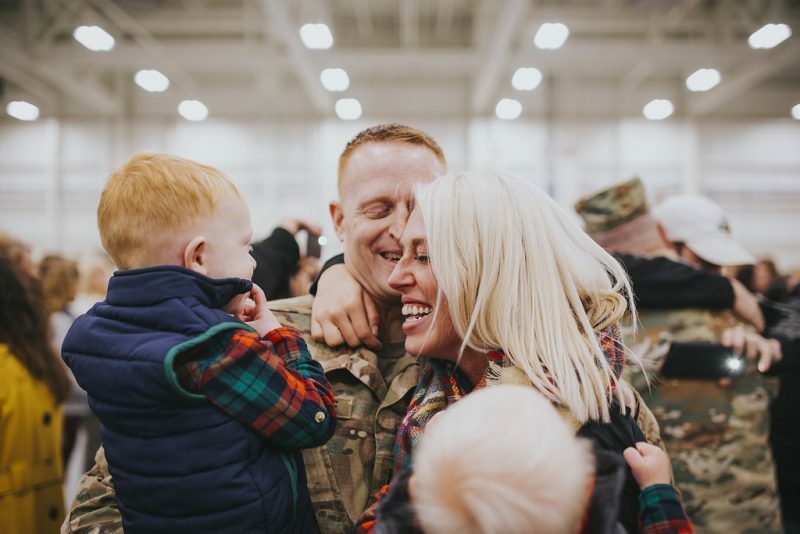 We wanted to play off the colors of the season (and his uniform) and really just embrace winter. 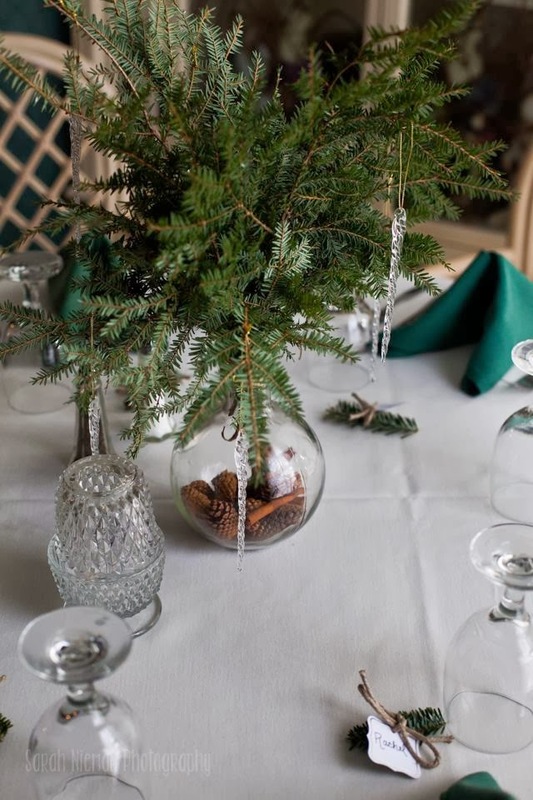 Our centerpieces were simple – evergreen in hand-blown glass vases filled with pinecones and cinnamon. We decorated the evergreen branches with glass icicle ornaments, which caught the candlelight in our reception. I made all of them two days prior to the wedding to ensure they wouldn’t die before then. which we used to help adorn the cake table. I made both the cake and the centerpieces, as well, which was truly a labor of love. 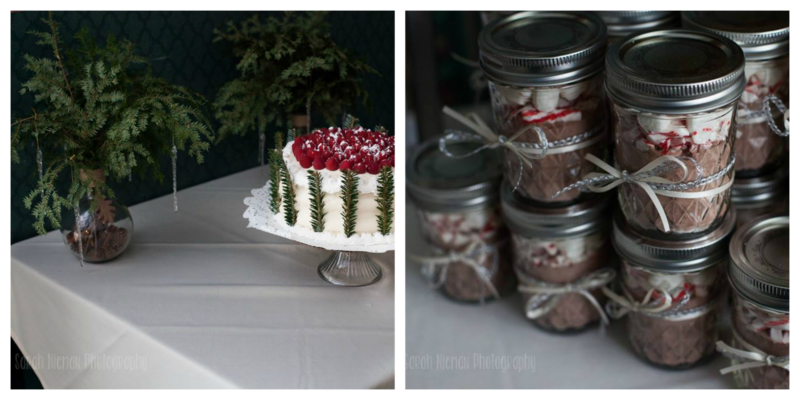 Our favors were peppermint hot chocolate in mason jars. I simply layered pure Dutch cocoa, crushed peppermint and marshmallows in the jars for all our guests. 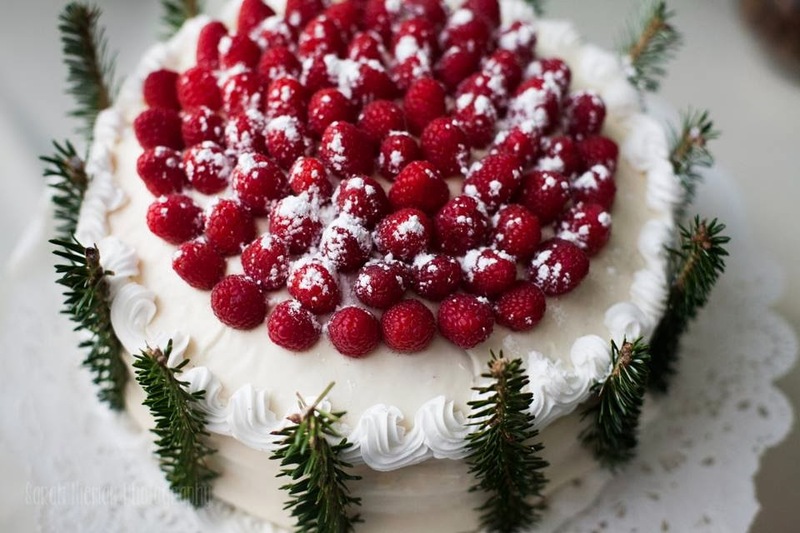 Our cake was red velvet with a cream cheese frosting, adorned with fresh pine, raspberries and powdered sugar. so I decided to play off the season with the cake, as well, using the same elements as the rest of our decor. I was surprised with how well the cake turned out, too! Honestly, looking back, I wouldn’t change a single thing from our wedding day. and that’s what really mattered to us in the end.